The background of the Crucifixion is of Franco-Flemish character the castle in its center symbolizes Jerusalem and Bethlehem. 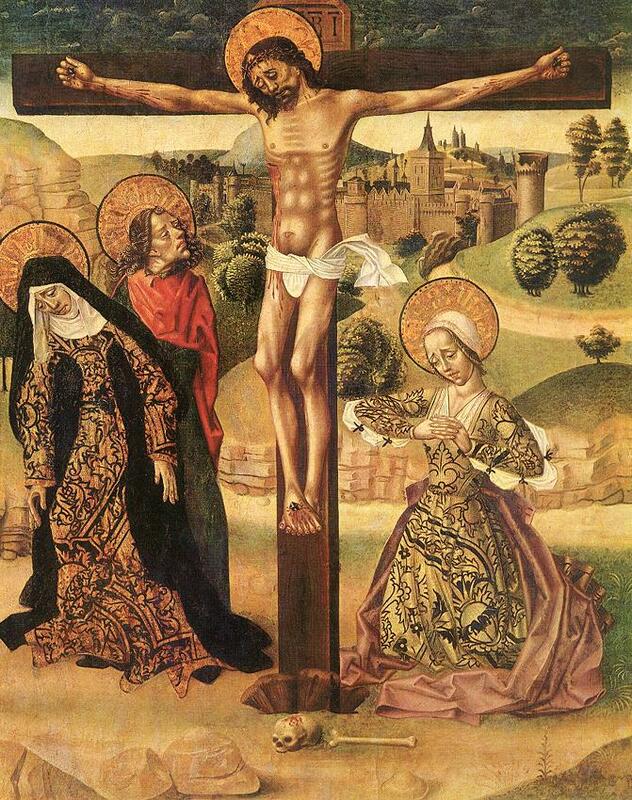 The figures of Maria, St John and Mary Magdalene can be compared with contemporary Flemish paintings. This picture suggests that the painter was an expressive artist, with a desire to convey the dramatic aspects of suffering. Tempera on canvas transferred from wood.